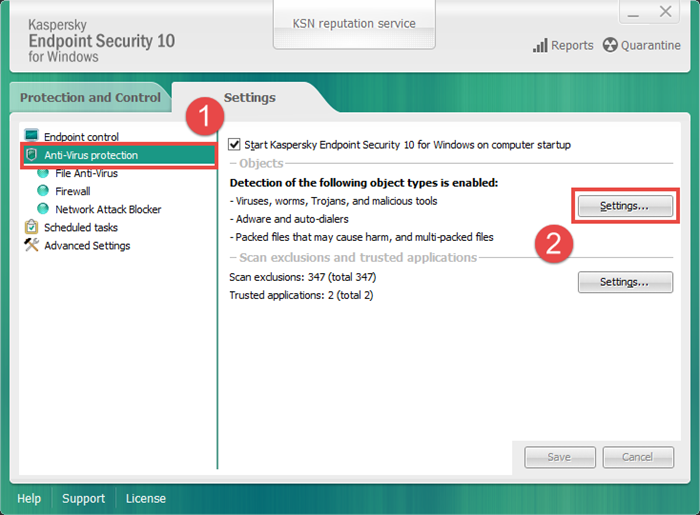 Open Kaspersky Endpoint Security 10 and go to the Settings tab. In the Anti-Virus protection section, click Settings. 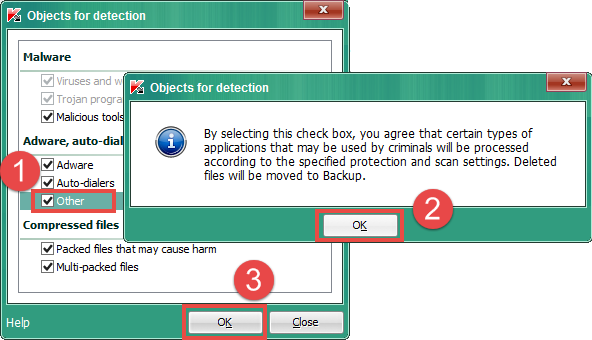 In the Objects for detection window, select the check box for the Other category and confirm your actions by clicking ОК.